Main galleries: Railroad, Railway lines and High speed trains. Campinas old train station in São Paulo State. "Paranapiacaba Station" in Santo André, São Paulo State. "Luz Station" in São Paulo (City) (Downtown). "Dom Bosco Train Station" in São Paulo (City) . "Central do Brasil Train Station" in Rio de Janeiro (City) (Downtown). Historic Canadian Pacific Railway Station in Goderich, Ontario. VIA Rail station in Oakville, Ontario. Cornwallis Valley Railway, later Dominion Atlantic Railway Dominion Atlantic Railway station and apple warehouses in Sheffield Mills, Nova Scotia. Main galleries: Train stations in Berlin, Train stations in Cologne and Train stations in Mainz. Main gallery: Train stations in Japan. Classic station in Marrum. 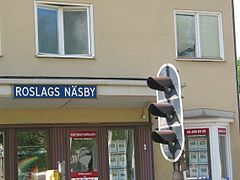 No longer in use. 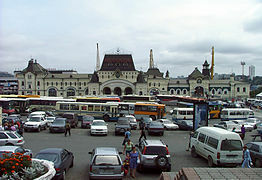 Railway station "Kaliningrad-South" in Kaliningrad. Railway station "Svetlogorsk-2" in Svetlogorsk, near Kaliningrad. Railway station in seaside resort. Zelenogradsk, near Kaliningrad, Russia. View from the platforms. Station in Zelenogradsk, View from the town side. Station in Zelenogradsk. View from the platforms. Station in Zelenogradsk. Small service building near the main station building. Railway station in Shchyokino, Tula Oblast. View from a train. 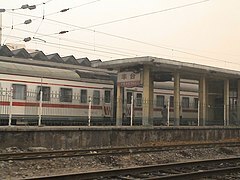 Main galleries: Railways of Taiwan and Category:Train stations in Taiwan. This page was last edited on 10 March 2019, at 23:44.